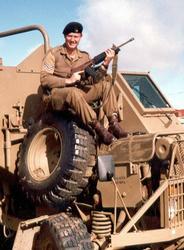 Regiment Oranjerivier was established in 1952 at Upington as Regiment North West Cape. The name was later changed to Regiment Hertzog and in 1960 to Regiment Oranjerivier with the motto of "Oculi et Aures" (Eye & Ears). 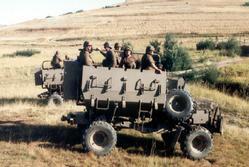 In 1966 the Freedom of Access to Upington was awarded to the Regiment. 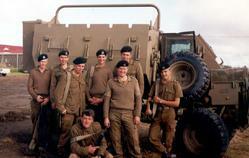 In 1968 the same honour was bestowed on the Regiment by the Town Council of Keimoes. 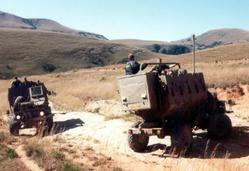 The Headquarters was re-located in 1975 to Cape Town. 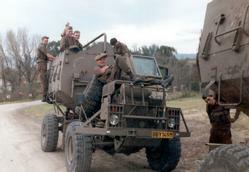 The unit partook in the First Brigade exercise (17 Brigade) "Exercise BROLLY TREE II" at Potchefstroom and in 1980 in "Exercise AGGRESSOR III". 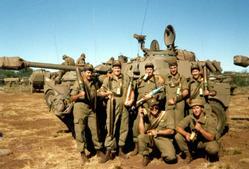 In 1987 the unit performed COIN Operations and attended "Exercise LIGHTING", later that year. 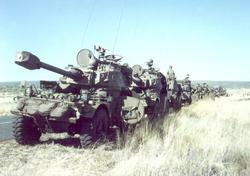 In 1988 the Regiment participated in "Exercise PRONE" in Southern Angola, in 1989 in "Exercise COBRA", 1990 "Exercise EXCALIBUR" and in 1992 "Exercise GENESIS". 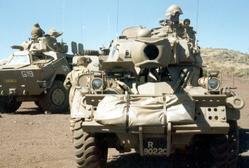 The unit received a Rooikat trophy for the best Armour unit during a 9 SA Division Formation Exercise.